It was our first overseas move and the most exciting phase of our lives for a ton of reasons. We were on top of the world… a foreign land, a new experience, exciting life ahead, an International education for our kids. Life was on a spin…until the children started school! 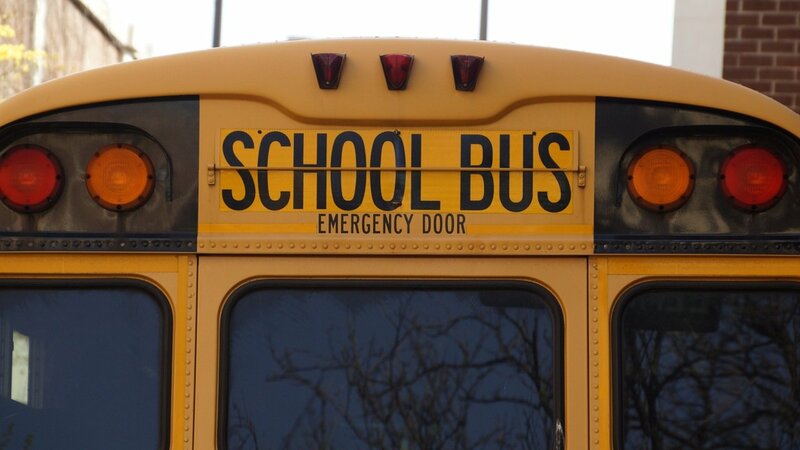 My kids were going into a new school and we had no idea what to expect. Our children were all of 5 and 8 years of age when we moved overseas. It was December. For many, it is the most exciting and relaxing time of the year. My kids had just joined their new school and we were quite smug about our new life, the kids’ new school and their prospective education. We had overlooked the fact that they were pitted for some serious social stress and heartbreak ahead. Since it was mid-year; strong and rigid associations had already formed among the young children in their classroom and school. Our kids had lost a huge opportunity to “belong” and were now unabashedly treated as “outsiders”; only because their entry happened to be timed incorrectly. Our children continued to struggle to fit in- and eventually (but not surprisingly); it had a huge impact on their love for learning and their desire to even show up in school! Naturally, as parents we were plagued by guilt and confusion. Friendships for children provide numerous important functions including companionship, stimulation, physical support, social comparison and intimacy, and affection. Each of these functions has a different degree of importance at different times during development. Many theorists view the development of friendships similarly to other areas of human development, as going through predictable progressive stages. Related: How stories can build Emotional Literacy in Children! Friends are important as children get to practice respecting others, regulate their emotions, develop the ability to negotiate situations through solving problems… all of this while struggling to consolidate their own identities. Social-emotional competencies hold great importance in the lives of all human beings. The seeds are sown in the early years of children’s lives. Several studies support the fact that promoting Social and emotional skills paves way for reduced aggression and higher student achievement. But, how easy is it to inculcate emotional learning when kids are struggling to even break into the circle of their new school? Turns out, that parents and teachers, as significant adults can play a stellar role in nurturing the emotional wellbeing of students in a classroom/school context. We can help them smooth the turbulence and put them on the path to healthy social relationships. Children are far more likely to share their ideas and feelings if they know they won’t be judged, teased, or criticised. Children face their own pressures, socially and emotionally. Talking to our children everyday about their new school, friends, everyday conversations and even (seemingly) trivial problems helped us reinforce confidence in them. We made it clear to them that we identified with their feelings and acknowledged it . We removed any traces of shame or embarrassment from their current situation. Eventually, they opened up more and we could work out a lot of things together. Even though we might be dying to get our child to gel with his peers and find his own bearings in a new setting, it is important to remember no two children are the same. 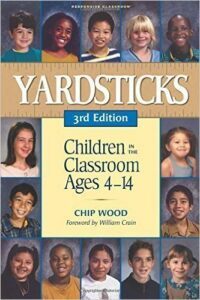 Chip Wood, author of Yardsticks: Children in the Classroom Ages 4–14 and founder of the Responsive Classroom emphasises on the fact that all children go through predictable stages, but they do not go through them at the same rate or the same time. Children are naturally motivated to develop different capacities at different stages. If we focus on skills they need for later on then we may be curtailing their full development. I also a few innovative ways to incorporate technology in the classroom here. Early educators are increasingly leveraging the power of reading to help children resolve conflicts and increase empathy among children. Reading aloud from books also helps in building emotional literacy. Stories can be a great way to stoke emotions and relive them. Acknowledge emotions: Pause at emotionally charged events in the story and analyse the feelings of a character in the story. Present options: Ask open-ended questions about what might happen next! Scenario fitment: Give them scenarios in which they could place themselves and how each of them would react. This is a great way for children to understand that not everyone responds the same way. Ideal end: Ask them how they would like the story to end and what they would do to give it that kind of ending. This way, you are actually giving them the tools to manage their own emotions in a difficult situation. You are encouraging them to be problem solvers. For children, parents are living models to emulate and imitate. The only way we could help our children blend into their new environment is to do it ourselves. We took this as a great opportunity to not only know people outside of our own cultures; but enjoy and appreciate them. As newbies, we were very enthusiastic about learning to live in a new country. As Indians, we were already accustomed to living amidst diversity, but this was a diversity of a different kind. A few things helped us ease into our new environment. Learning the spoken language: Since communication was key in a foreign land, my husband decided to have a dedicated tutor to help him learn the new language. I made the effort to pick up functional language to get by. Learning the other language: Psychologists say that more than 50% of our communication is non-verbal. With the spoken language becoming a barrier for us, we were forced to pay attention to the non-verbal language. It helped us understand that emotions, expressions and feelings largely remain the same, no matter what the spoken language of a culture. It provides a unique opportunity to know and assess the school-climate first-hand. It’s a rare opportunity to know your own child. Most children are two different people at home and in school. You might be surprised at your own child’s transformation, not to mention that it can be greatly amusing. It’s also a great way to know his friends and get them to warm up to you. Children are less mean when they know the parents have been nice to them. It breaks the ice in a lot of ways to help you communicate effectively with the school. It’s hard to turn down a request when you have worked for the school’s cause. 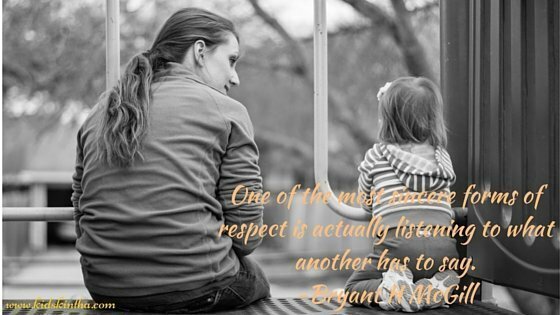 Its a way to know others in the community- other parents, caregivers, etc. It’s one of the easiest way to know other cultures and cuisines! It can simply be great fun working with kids! The brief drop-off and pick-up times may seem insignificant, but they can make a world of difference in bridging the gap between a teacher and your child. Building rapport with the teachers helps them recognize and relate to cultural identities of students. Having people who are naturally invested as educators is a great plus. In our case- our son’s teacher tuned his classroom to empathy with the simple activity of having his students recall their own first days in school.Emotional triggers are pulled and stress is naturally eased with such simple activities. Your child may be naturally inclined towards something- sometimes more than one thing. Recognize it as early as possible and build on it. In my daughter’s case, it was the teacher who found out our daughter’s love for dancing and she was chosen for an Assembly performance. Her teacher believed that the assembly performance would bring acknowledgment and recognition for her abilities. Bollywood dances have a magnetic appeal. Soon, our daughter was flooded with offers for teaching her classmates some cool dance moves. The ice was finally broken! Confidence was instilled and there was no looking back after that. In the end, it helps to remember that unconditional love, respecting your child’s quirks and encouraging little acts of independence will go a long way in raising confident, self-assured kids- new school or not! [su_box title=”Like what you see? Join Us!! !” style=”noise” box_color=”#b90b2e” radius=”2″]FREE: 53 HACKS TO RAISE A HAPPY KID!!! Radha Shivkumar is an early childhood educator with teaching experience in international schools in Vietnam and the American School of Bombay, in Mumbai, India. After 24 years of being a classroom teacher, very recently, Radha shifted gears to assume the role of an educational consultant. In her new avatar, she is hoping to add value to early childhood curriculum and teaching practices by mentoring, coaching and conducting workshops for teachers. She also supports schools in designing curriculum to best meet the needs of the 21st century learner. Over the many years of teaching, she has had many insights, deep reflections and numerous ‘aha’ moments around how young children learn and develop. Through this blog, she hopes to share those for the benefit of parents of young children.